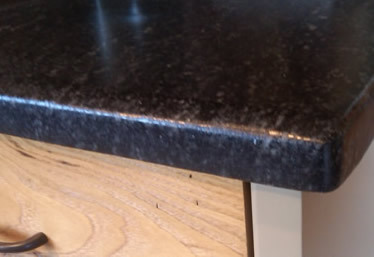 For the look of a gracefully aged countertop, soapstone is the natural choice. It feels soft to the touch and was named after the soft feel of dry soap. 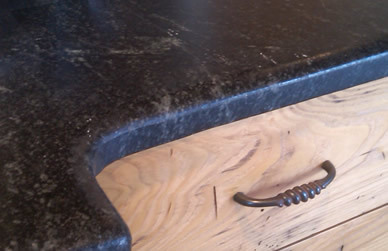 As a softer stone, soapstone can be carved into seamless apron front sinks. Naturally, soapstone is highly heat resistent because it is a stone product. In order to enhance and preserve the appearance of your countertop, you will need to periodically oil the surface. It has a long history in the kitchen, and is used in many historic homes as well as modern kitchens. The color is typically a dark gray and sometimes has white and/or green veining.